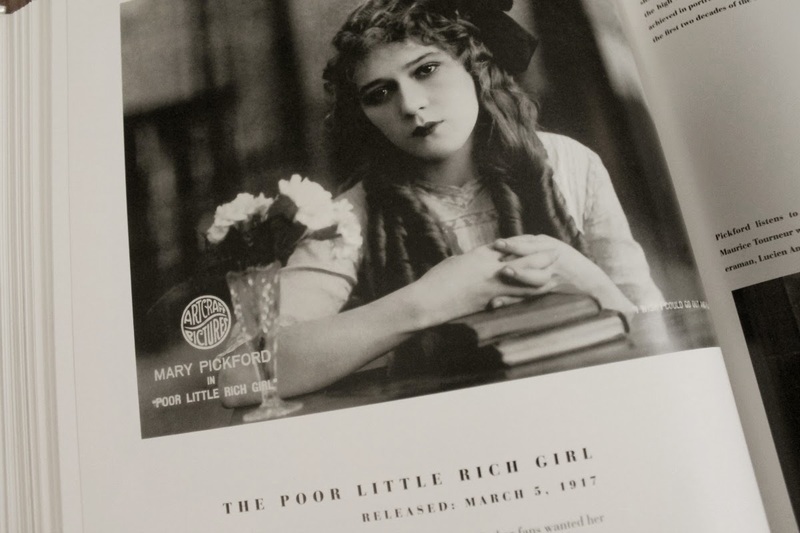 One of the last movies I DVR-ed before we said goodbye to cable (and my beloved TCM) was 1917's The Poor Little Rich Girl, starring America's Sweetheart, Mary Pickford. I knew Big Sis would love it, but I wasn't sure if my 3 1/2-year-old would sit through it. She surprised us by watching the whole thing! 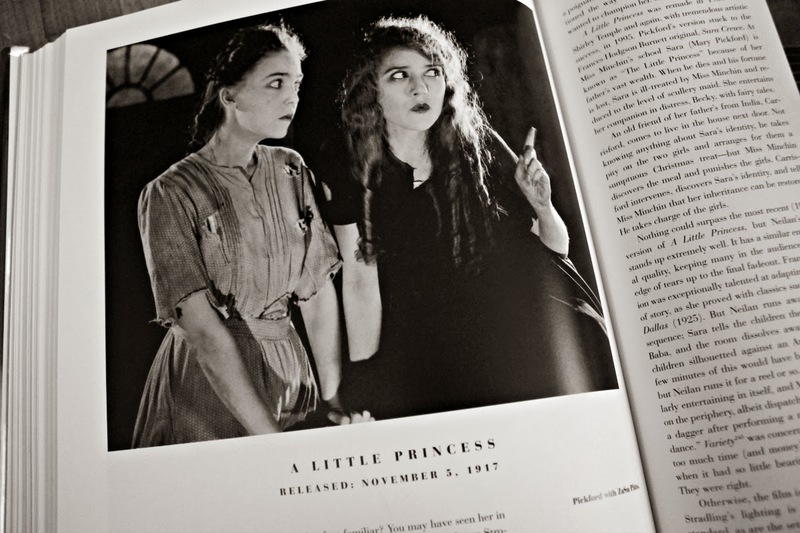 She did ask, many times, if Mary Pickford was "really a little kid." No, Mary Pickford was about 25 years old when she played Gwendolyn, who "celebrates" a very sad 11th birthday in the movie. Unfortunately, the DVR cut off the very end of the movie. But now, 2 1/2 years later, we have finally seen the ending! 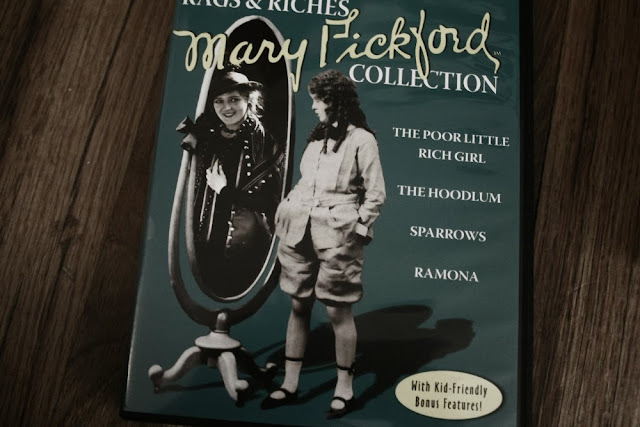 "Rags & Riches: The Mary Pickford Collection" from Milestone Films. Yesterday, I picked the girls up from school, made a short jaunt to the library, grabbed some dinner, and came home to watch Poor Little Rich Girl. Big Sis shocked me by remembering scenes from the movie better than I did, and Little Sis got worked up and wanted to "run into the TV" to teach the mean little girl who gets Gwendolyn into trouble a lesson. We had such an enjoyable time. 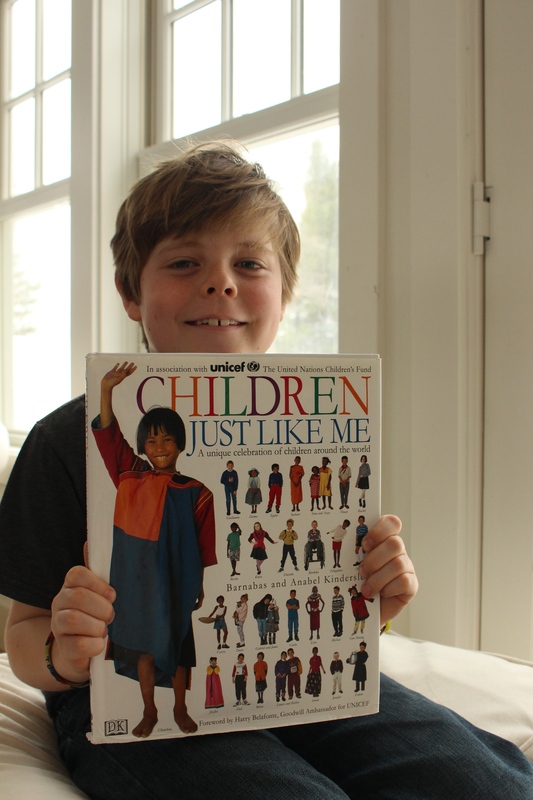 Our watching of the movie coincided with finding this book at the library. 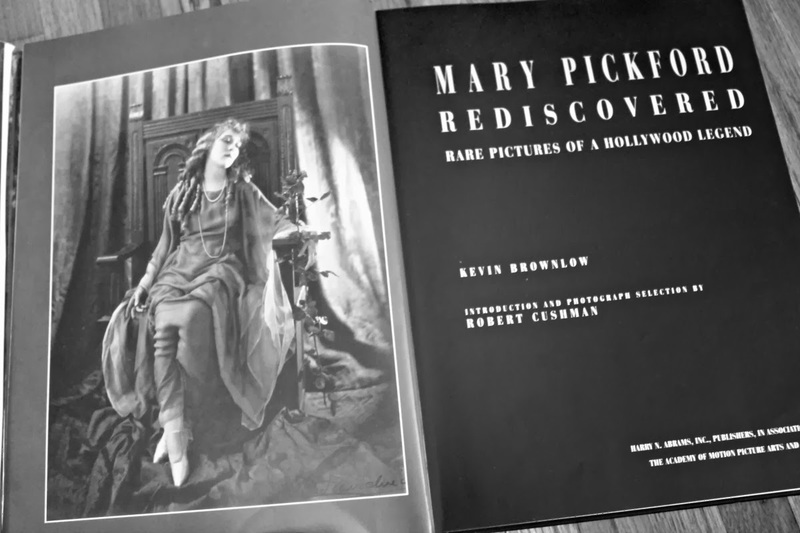 Mary Pickford Rediscovered: Rare Pictures of a Hollywood Legend by Kevin Brownlow. Introduction and Photograph Selection by Robert Cushman. Then the book gives an overview, with pictures, of each of her movies, starting with her early Biograph shorts directed by D.W. Griffith, and culminating with her four talkies. Oh, goodness! Here is a movie I would give anything to see. 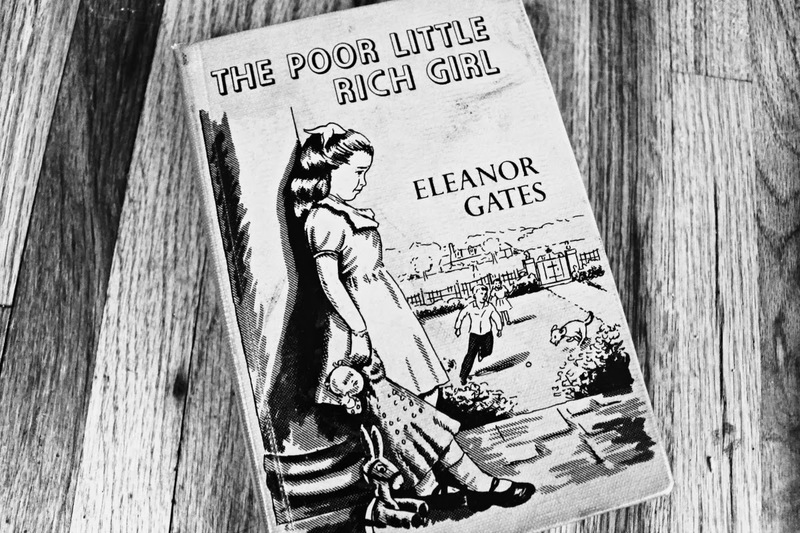 Made the same year as The Poor Little Rich Girl, it's her version of Frances Hodgson Burnett's A Little Princess, co-starring Zasu Pitts! Omigosh! I don't have to give anything. I just had to check YouTube. I must watch this before it goes away! Someday, I plan on getting around to the book on which The Poor Little Rich Girl is based. I scored this Grosset & Dunlap copy from the forties at a used book sale last spring. 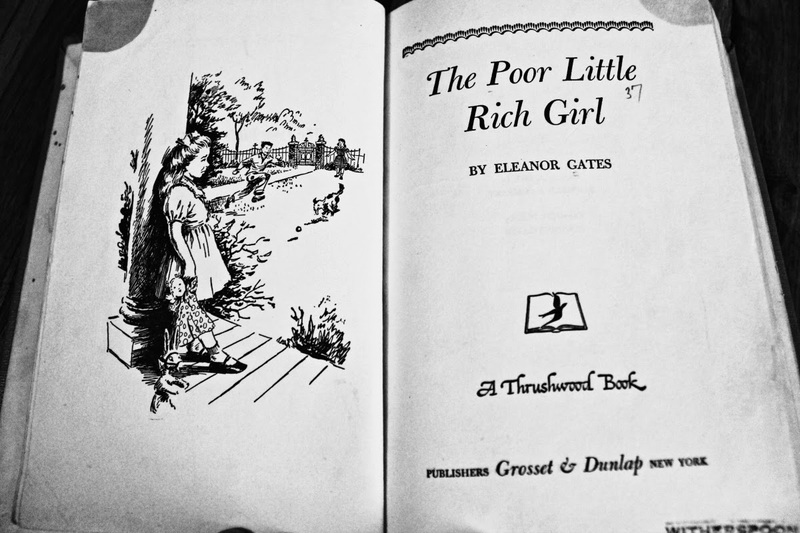 The Poor Little Rich Girl by Eleanor Gates. Originally published by Duffield & Co., 1912. Reprint edition by Grosset & Dunlap, 1940. Oh, so how did I answer my friend's message? To paraphrase, "Never make a big deal about black and white vs. color. 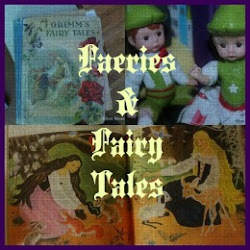 Comedy, fantasy, and musicals work best. 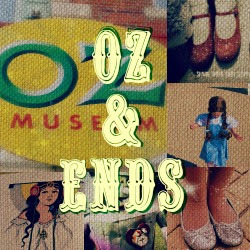 The Wizard of Oz is the greatest gateway film. 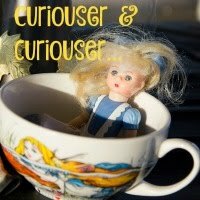 Other favorites include the 1933 Alice in Wonderland, the 1934 Babes in Toyland - actually, any Laurel & Hardy - Singin' in the Rain, and stuff starring Charlie Chaplin, Harold Lloyd, Shirley Temple, and Mary Pickford." If you were curious about the necklace in the my first photo, it came from the Kansas Silent Film Festival a couple years ago. 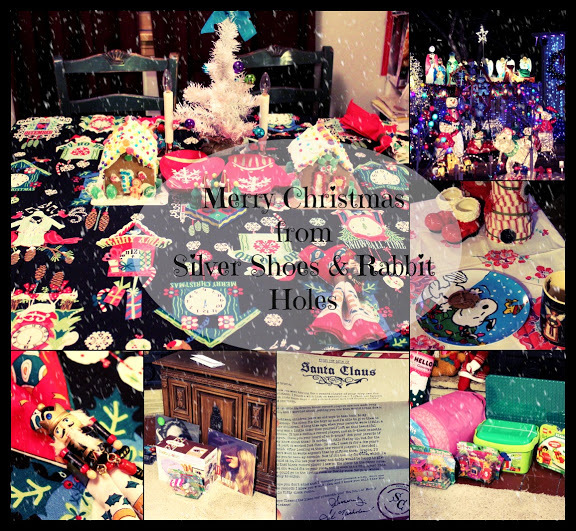 Big Sis goes with me every year (except this year - stupid blizzard), and I usually get her a calendar. 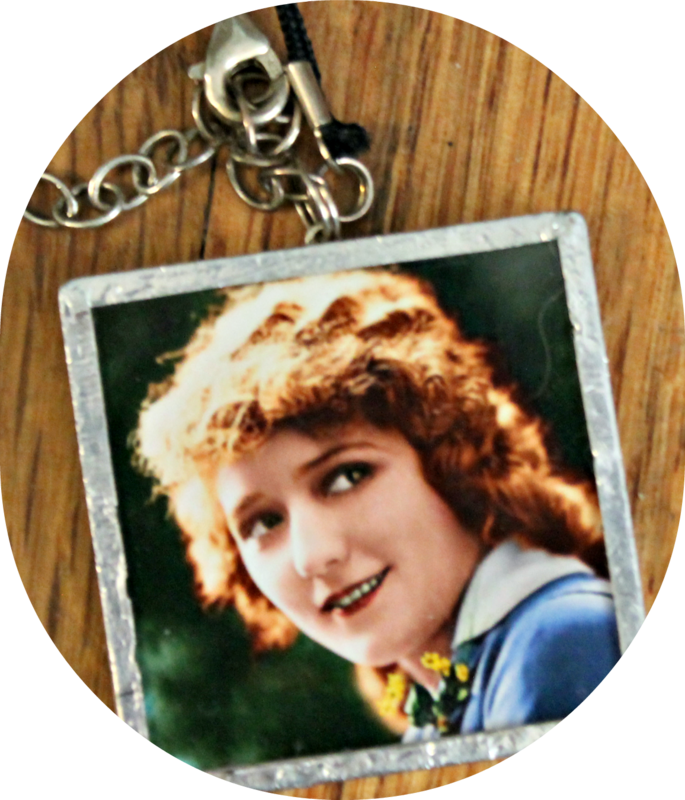 They were out of calendars, so I got her a beautiful Mary Pickford necklace instead. She impressed her art teacher in first grade. "Oooo, I like your necklace!" "Thanks! 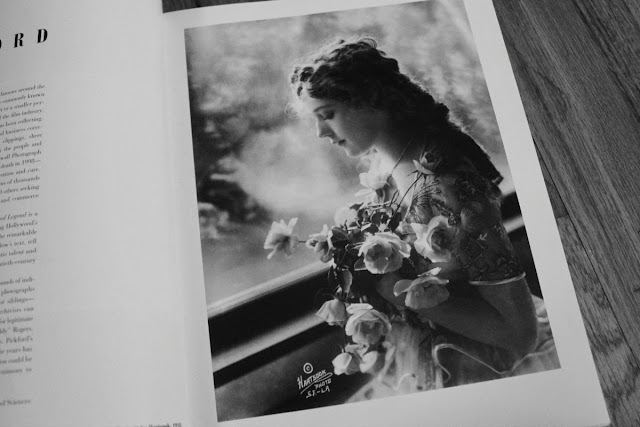 It's Mary Pickford!" By the way, looking at the schedule for the 2014 festival - Charlie Chaplin! Animation! 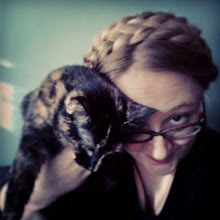 Ella Cinders! 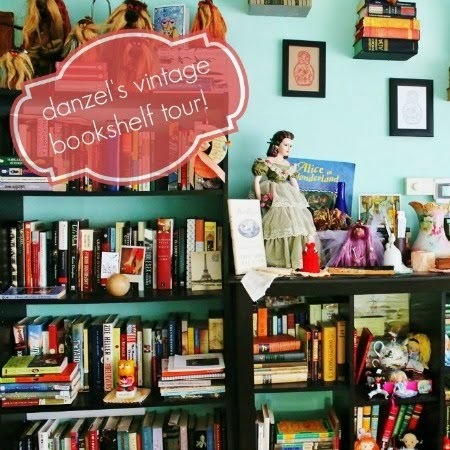 - I cannot miss it. 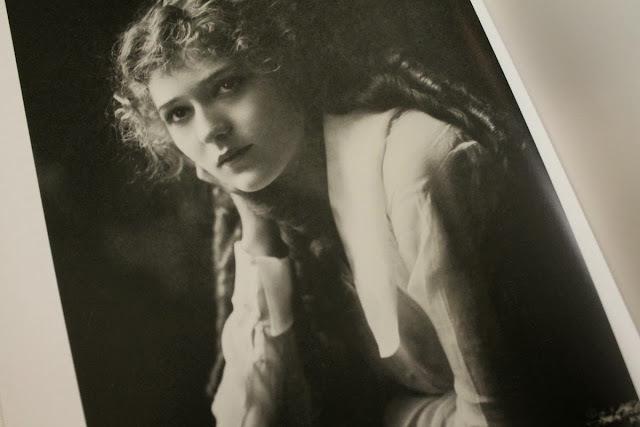 For more Mary Pickford, you can check out my pinboard. If you have Netflix, there is a documentary. 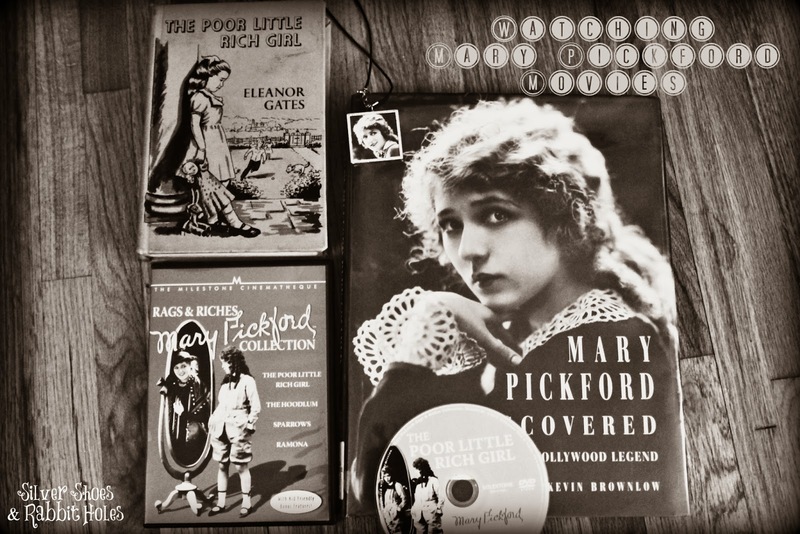 On YouTube, you can find a wealth of Pickford goodies: Documentaries, shorts, clips, news stories, and feature films. We love Shirley Temple! So far, the girls have seen Bright Eyes (with "On the Good Ship Lollipop"), The Blue Bird (love it), and The Little Princess (favorite! ), as well as the "Shirley Temple's Storybook" TV show, after she grew up. I have yet to see any Mary Pickford movie! I heard about her though and she is truly beautiful! Oh I love Shirley Temple's Blue Bird! 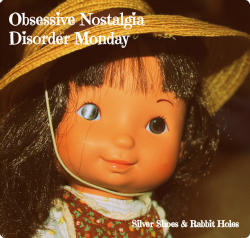 She played in Heidi as well which I watch when I was younger but I think the kids would probably like to watch now.